Coming off back-to-back wins, the Devils travel south to face the Admirals for a pair of games at Norfolk Scope Arena this weekend. 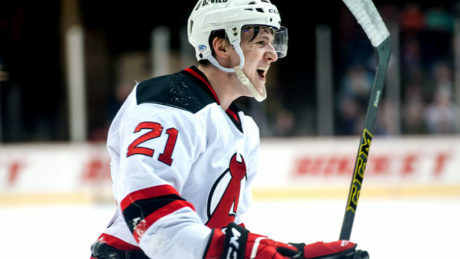 The Devils season-long five-game road trip comes to an end with games at Syracuse Friday and at Hershey Saturday. Albany returns to Times Union Center against Binghamton Sunday. When Maxime Clermont made his season debut on Jan. 3, it marked the beginning of a three-goalie rotation for the Devils, who are 8-4-2-0 since that game. Steve Bernier, who has six points in the last six games with New Jersey, was playing in Albany just three months ago. 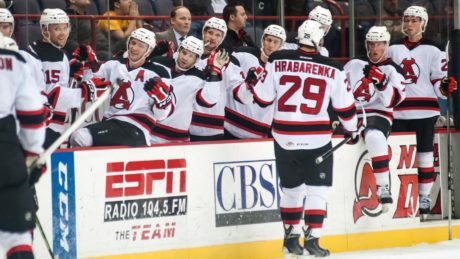 The Devils head into the final week of the season just out side the top eight in the Eastern Conference standings. They have three games to make their move. “Farm to Fan” initiative will see New York products sold at Times Union Center during Devils home games. With a 8-4-2-1 record since the turn of the calendar year, the Devils hit the road for two games this week: at Manchester Wednesday and at Springfield Friday. Both contests are slated for 7 pm. The big game is on Sunday and the Devils players and staff made some Super Bowl predictions. With points in four of their last five games, the Devils return to Times Union Center this weekend for the start of a six-game homestand. After the AHL All-Star break, the Devils travel to face the Phantoms before returning home for a two-game set against the IceCaps.